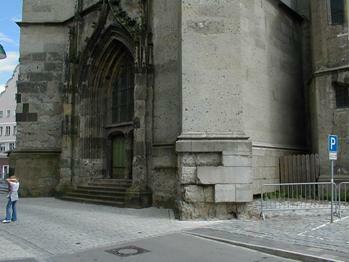 Restoration of the Nördlingen St. Georg’ s church. Originally constructed of suevite impactites, the walls have not proved very resistant to weathering over the centuries. 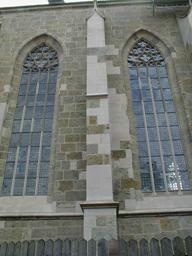 In 30 years, large parts of the building stones have little by little been replaced by artificial “suevites”. 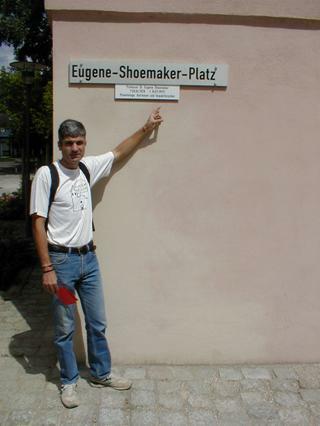 At the Eugene-Shoemaker square in the town of Nördlingen, the Ries impact crater museum (Rieskrater-Museum) is located.